DiscoverVin has a unique range of wines from the Bordeaux region and South West of France. We are Australia's premier source of well made and value for money wines from this region. When we returned to Australia from living in Bordeaux in 2009, we realised that there were many good value wines not available-so we decided to import them! 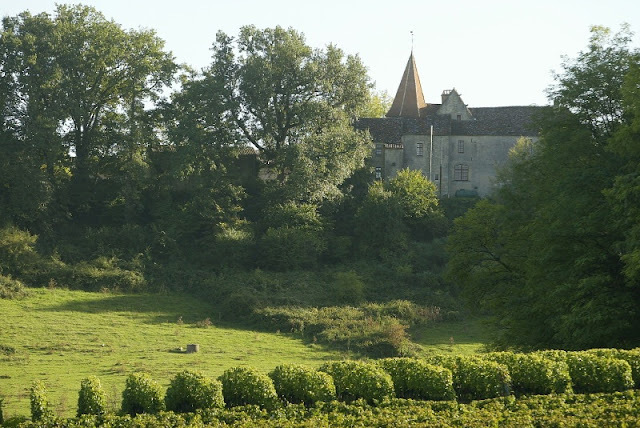 One of the things that really impressed us was that some great wines are being produced outside of the expensive Grand Cru Chateaux of the classification system established in 1855. There were many producers making "New Bordeaux"-old vineyards that were producing wines using new methods in the vineyard and in the winery. Many producers have gone or are converting to organic practises. It is almost like a massive renewal going on and there is a determination to respond to the challenge of wines from the new world. "The veteran wine writer and broadcaster has spent months tasting ‘literally hundreds of wines from the places no smart folk go, from chateaux whose names wouldn’t raise a flicker of recognition...’ for his new book. And he is ‘amazed and excited by their personality and flavour differences,’ he writes in this month’s Decanter magazine. Clarke makes the point that the Romans recognised many of these regions – like ‘the tumbling slopes of limestone clay’ of Blaye on the right bank of the Gironde opposite Haut-Medoc – as perfect for vines. 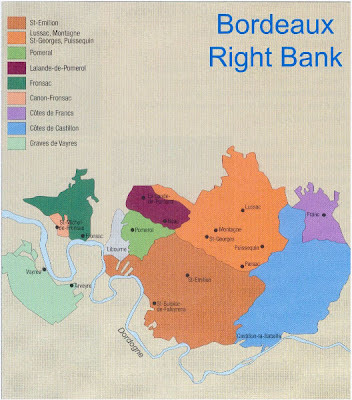 All over Bordeaux there are wines – ‘the Blayes and Bourgs, Fronsacs, Lalandes-de-Pomerol, Castillons and Francs…’ – that have immeasurably improved as knowledge of viticulture and viniculture has increased, and younger, university-educated generations have taken over. Clarke visits satellites of St Emilion, like Lalande-de-Pomerol whose wines, he says ‘bear a strong similarity to good Pomerol’, and ‘rising star’ Castillon, whose limestone plateau is the ‘seamless’ extension of the same limestone that nourishes St Emilion’s vines. ‘The attractiveness… the allure of the wines today is completely unrecognisable from the thin, tart, mean-spirited flavours I was auto-ejecting a generation ago,’ he writes. His conclusion is that ‘there is a vibrancy, a vivacity in the new Bordeaux that guarantee not only its survival but its position of dominance.’ "
Its an exciting time for these less well known appellations in Bordeaux that are the rising stars! you want to make sure you do not try all of the wines at the winery or event because by the end of the day, you will no longer be able to discern which wines you like and the ones you do not. In addition, your taste buds will be worn out if you try too many wines.